At 10 AM on January 27th, 1986, at the Sleepy Hollow Motel in Courtenay, B.C., the first exploratory meeting was called by W. Bro B.K Tarling to discuss the formation of a new Lodge in the Comox Valley to practice the “Canadian Ritual”. R.W. Bro H. Newman, D.D.G.M., District No. 22, who was present along with 10 other interested Brethren, informed the group that M.W. Bro George Baldwin, Grand Master, G.L. of B.C. had indicated his encouragement and support. Since all those present showed a sincere and positive attitude toward the formation, plans to proceed were made and a decision that the new Lodge when formed would be called “COMOX LODGE” Lodge facilities would depend on availability of suitable accommodation but con- sensus was that it should be in the Town of Comox if this was feasible. On February 20th, 1986, it was confirmed at the fourth organizational meet- ing that R.W. Bro W W.F. Osborne, P.D.D.G.M District No 12. should be the first Worshipful Master of the lodge under dispensation. W.Bro B.K. Tarling and Bro E.R.Wilson, were subsequently elected as Senior and Junior Wardens respectively at a meeting on February 27th, 1986. In accordance with G.L. Constitution an effort was made to obtain the required recommendation from Hiram Lodge No.14 on February 10th, 1986, for the formation of the new Lodge. However, this was not obtained until May 12th, 1986. Permission to use Courtenay Masonic Temple was also given on the same date if this should be required by the new Lodge. After a total of 22 organizational meetings, a formal petition for a dispensation to form “COMOX LODGE’ was finally and duly forwarded to Grand Lodge on May 13th, 1986. A formal Dispensation containing the names of 50 Founder Members was subsequently received and the Lodge instituted on August 16th, 1986 at the Courtenay Masonic Temple, 361 - 5th Street Courtenay, B.C. M.W. Bro. Donald Wakelyn, who had recently been installed as Grand Master of the Grand Lodge of B.C., conducted the ceremony assisted by 31 Grand Lodge Officers. In attendance were 35 Founder Members together with 158 visitors. For 22 years, the Lodge enjoyed the 215 Church Street Comox Location. The dedication and generosity of the members in maintaining The Lodge Hall and paying down the mortgage was a source of great Pride. 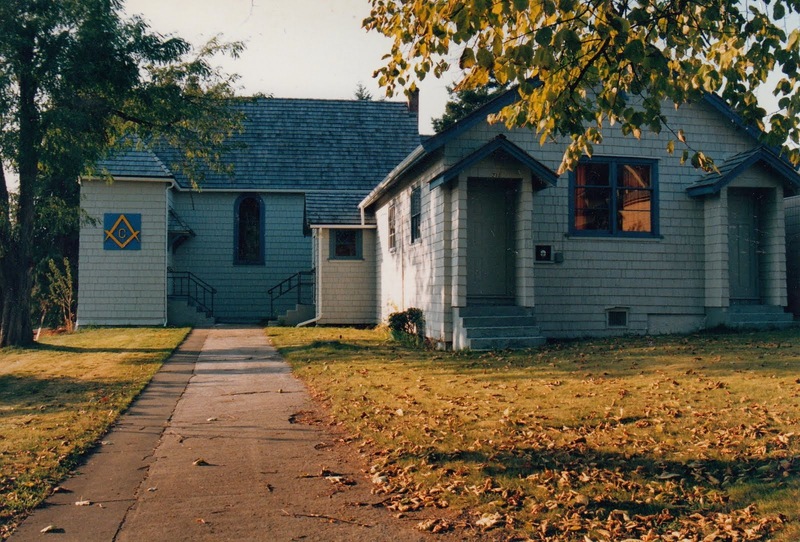 Unfortunately, dramatic rising costs and lowering membership, finally forced the sale of the Lodge Hall and Comox 188, moved back to the Courtenay Masonic Center 1 May 2008.